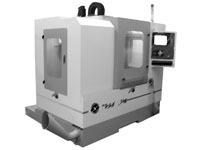 ABLComp, LLC offers precision CNC routing, machining and fabrication services for small or large production runs. We specialize in high precision and close tolerance manufacturing of all plastics, composites and metal alloys. From rapid turnaround to just in time stock and release programs, prototyping, and consulting, ABLComp has a solution for every manufacturer. Our manufacturing and engineering services offer great flexibility to customer projects. We can work from a blueprint or reverse engineer sample components. Throughout the developmental process, we work closely with the customer’s manufacturing and engineering departments to provide technical assistance when needed. Customers are our organization’s most valuable assets and assisting them is our first business priority. Nothing is more important to our standards of business than being helpful, courteous and prompt in reaching solutions for our customers in their manufacturing needs. Get Quote!Interested in a special project?